2nd Annual Shrimp and Grits Festival this Weekend! Make plans to attend the 2nd Annual Shrimp and Grits Festival this Saturday, where you can help award one competing restaurant with the “Columbia’s Best Shrimp and Grits” award. 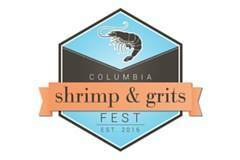 Established in 2016, the Shrimp and Grits Fest hosts a citywide competition between restaurants that serve shrimp and grits, and awards one restaurant the title of “Columbia’s Best Shrimp and Grits” and also hosts a “People’s Choice Award” division. In addition to unlimited shrimp and grits samples from participating restaurants, the event will have live music and door prizes.